3 courses at $26.95/person. Over 12 Hot & Cold Appetizers & 3 Main Entree Dishes. Offers a traditional Easter Champagne Brunch with a wide assortment of foods. Brunch is served from 9:30 AM - 3:00 PM; $36.95 per adult, $14.95 per child ages 6 to 11, and $4.95 per child ages 3 to 5. 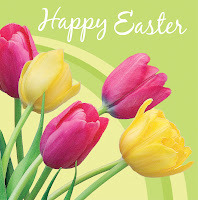 Easter Brunch Prix Fixe $35.00 per adult, $15.00 per child. Includes bottomless mimosas for adults. Adults: $50.00 ($42.00 members), $20.00 for children age 4-10 and free for children 3 and younger. Offers an Italian twist to Easter brunch and features a Calabria Festa dinner menu. A full bar complements an extensive menu. Offering their signature Steak & Seafood 3-course menu ($109.99/couple). Morton's Classic Menu and full dinner menus are also available. Dinner only. 10:30 PM - 2:30 PM regular menu. Regular brunch menu from 9:00 AM - 2:30 PM. Brunch from 11:00 AM - 3:00 PM. 3-course brunch starting at 10:30 AM. 3-course brunch meal featuring exciting new entrees, personal sides and desserts for $39.00 per person. Delicious Brunch items in addition to their famous 5 Course Tea. Prices range from $23.00 - $38.00, 11:00 AM - 4:00 PM. Offering an Easter Champagne Brunch in its Rendezvous Court featuring traditional favorites in addition to a special children's buffet from 11:30 AM - 2:30 PM; $55.00 per adult, $25.00 per child.